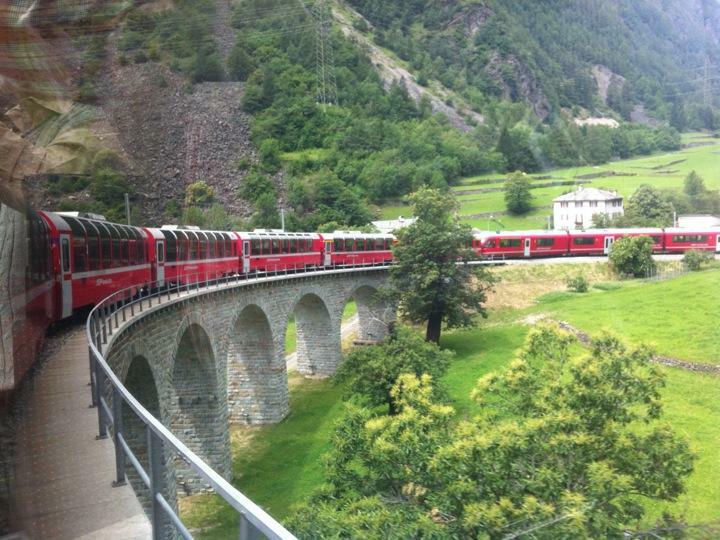 And this was the Bernina express. Precisely the sort of train I was expecting, and hoping for. This is just a stop in between, in Tirano. The true end for the Bernina express is Lugano, in the Italian part of Switzerland, but everything is like half the price in Italy, so might as well report here. Almost didn't make the bus to Lugano btw. I didn't have a seat reservation, or something, and I was getting a bit nervous for a while that I wasn't going to catch the bus. That was pretty much the last thing that can go wrong. From Lugano, there are trains all the time to Milan, so I had nothing to worry about from there on out. Tirano-Lugano was the only thing worrying me, but I got on, albeit the last seat, and I slept through huge parts of it, for better and for worse.